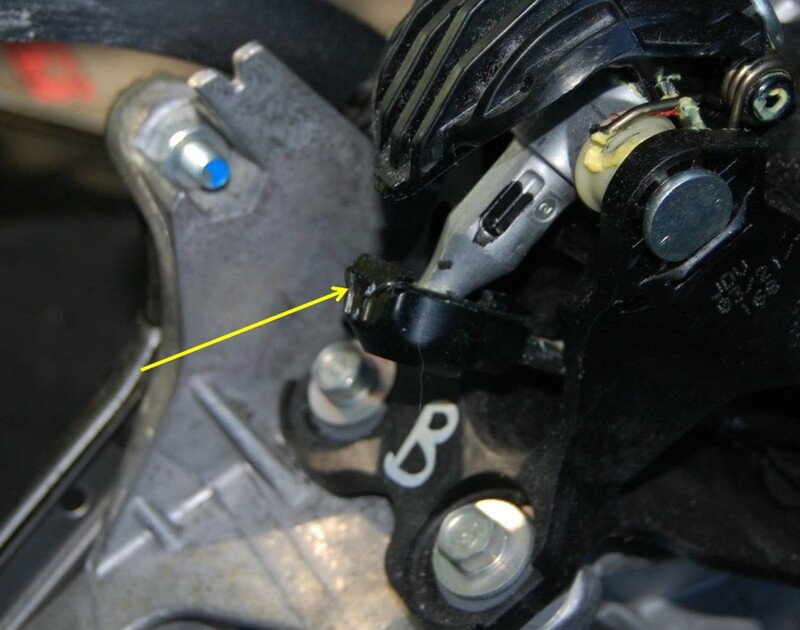 Installing a short shifter has always been a modification that I considered a relatively simple and low cost upgrade you can enjoy on a regular basis. In my opinion, the 8th gen Civic has a decent shifter with an unusually long throw. 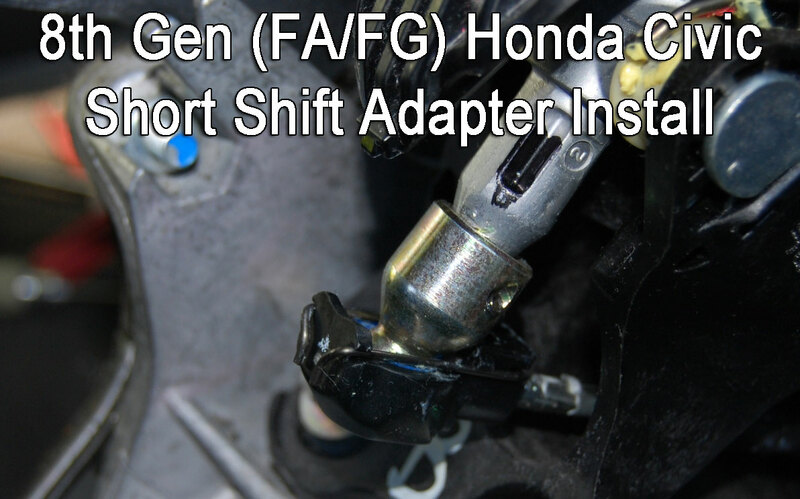 The 8th gen Civic uses a unique shifter setup as compared to the shifters used by almost every other cable shifter equipped Honda. 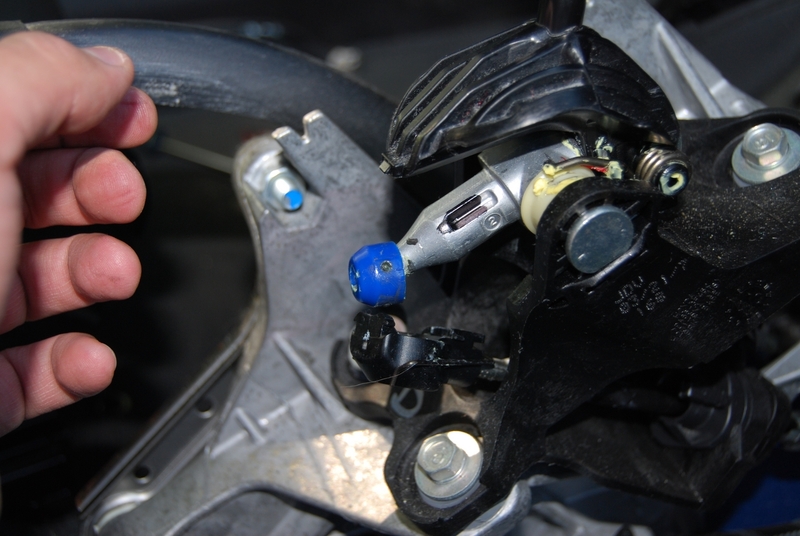 Until recently, there hasn’t been a great deal of aftermarket support. 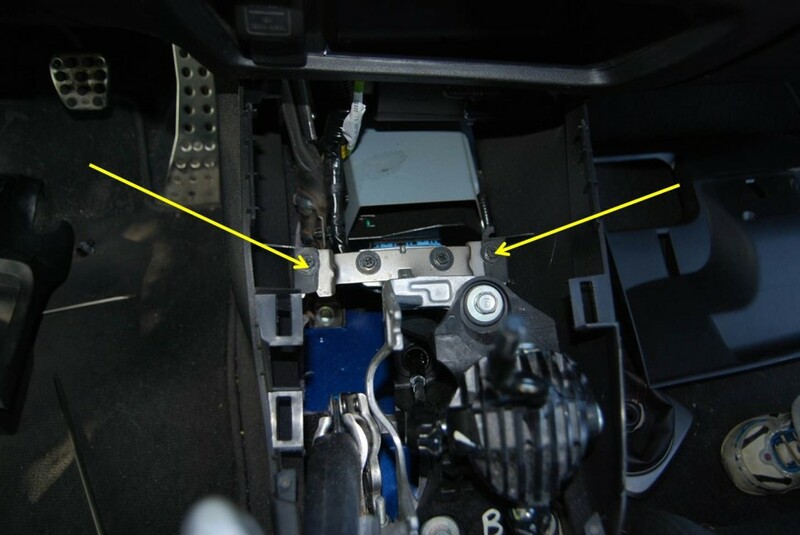 The most common upgrade is the shifter adapter. I wasn’t looking for an aggressive improvement but I did want to tighten up the shift. 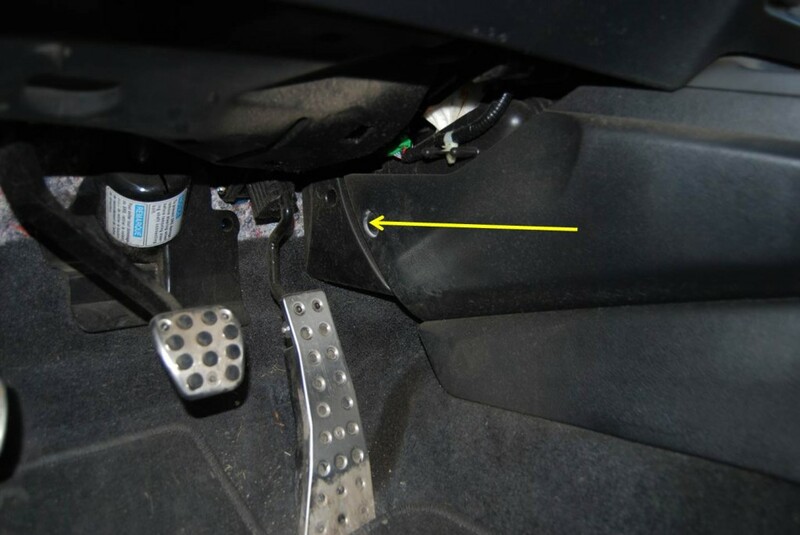 If I understand correctly, the 2009-2011 Civics have an updated shifter that shortens the throw which leaves no room for the adapter. The only alternative is a complete replacement. As much as I would love one of the full replacement options, I didn’t want to spend a great deal of money. 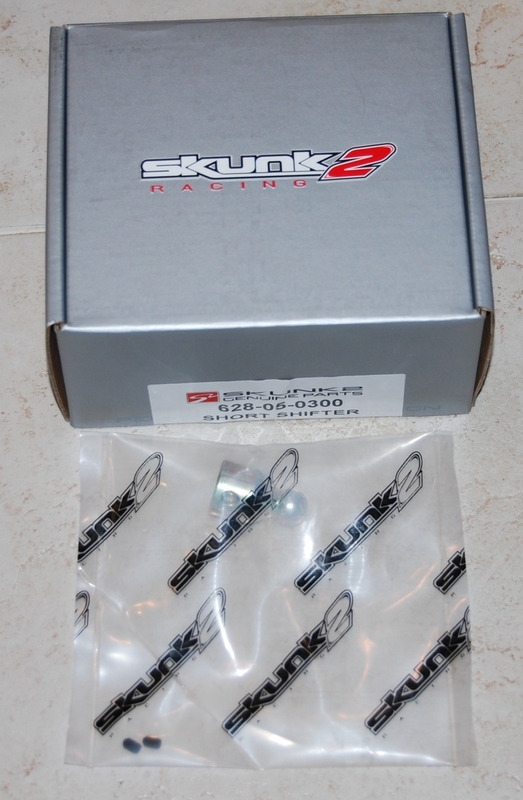 I chose Skunk2’s adapter because the price was fair and they have earned a great reputation. 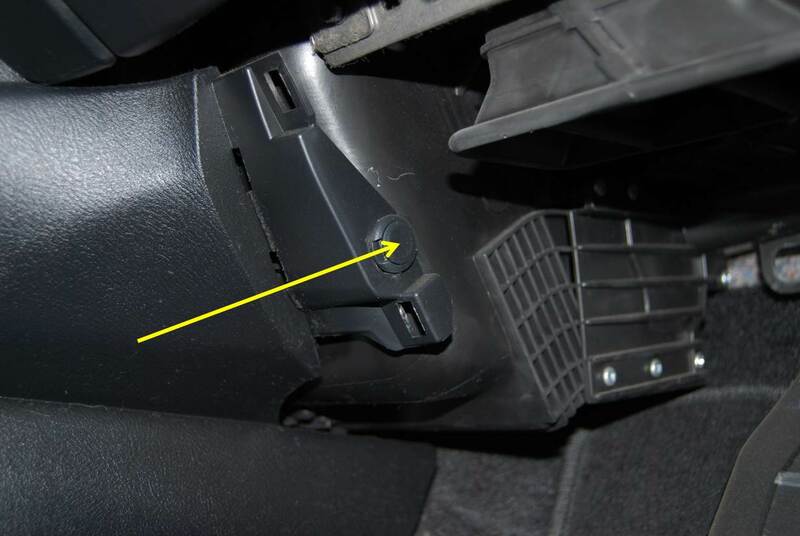 Skunk2’s adapter is made for the 2006-2008 Civic Si. 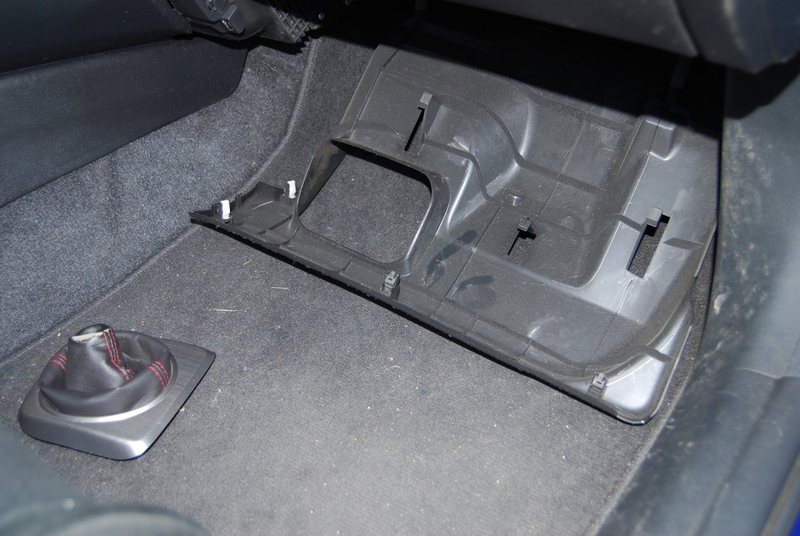 When I did the install, I removed the entire center console. I realized that I only needed to remove the shifter bezel and top trim piece with the storage pocket. Removing it will improve access but isn’t necessary. I will illustrate the complete removal. 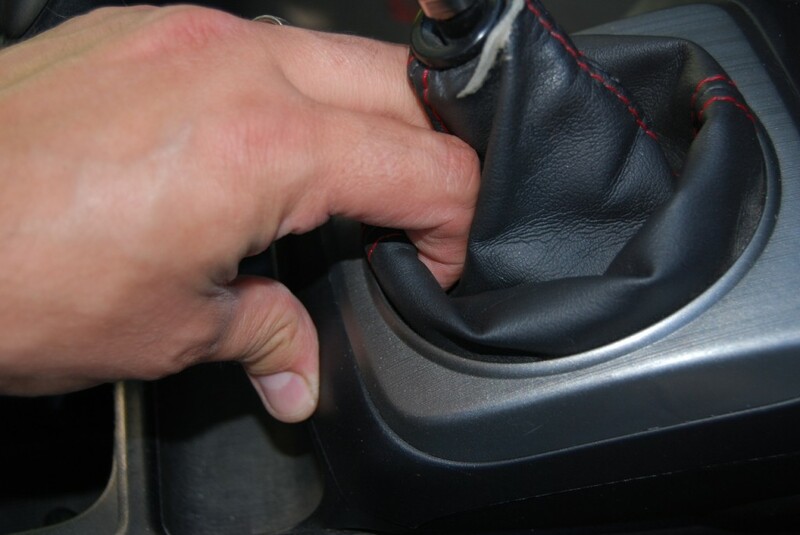 Before you start, block your wheels in case you release the parking brake or pull the shifter out of gear. A run-away car is never fun. 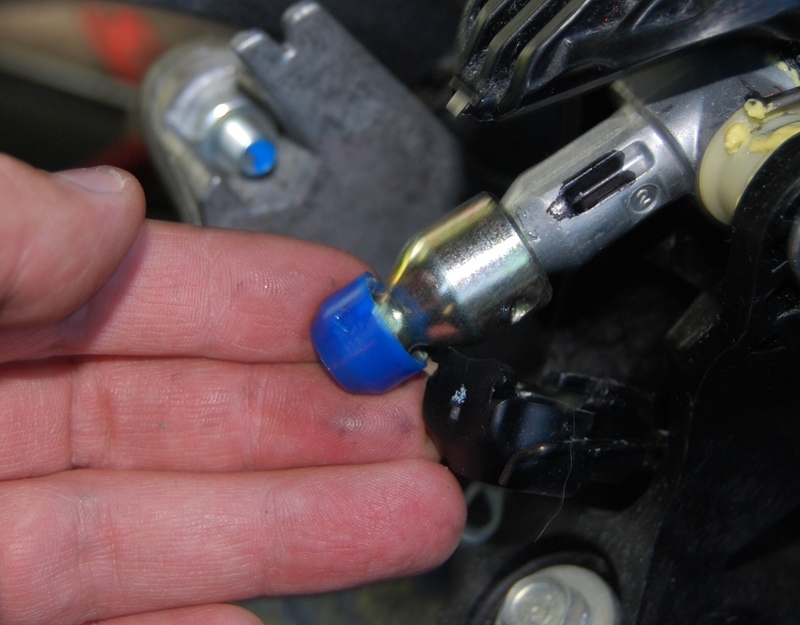 Using the 14 mm open ended box wrench, loosen the keeper nut on the bottom of the shifter. The top trim piece can also be removed by hand. Pull up and the clips will release. Keep an eye on the white clips. 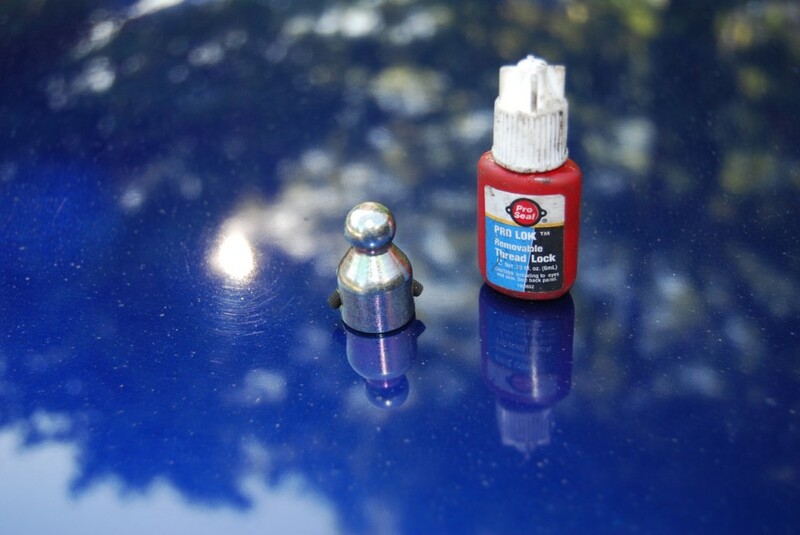 They can pop off and need to be reinstalled before you put everything back together. Finally, slide the console out of the way. 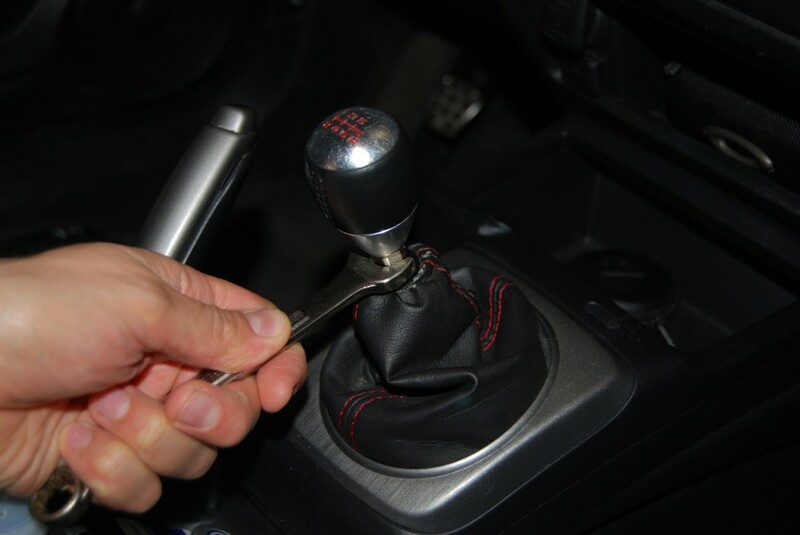 Before you remove the linkage from the shifter, put it in 3rd gear. This will allow for better access. 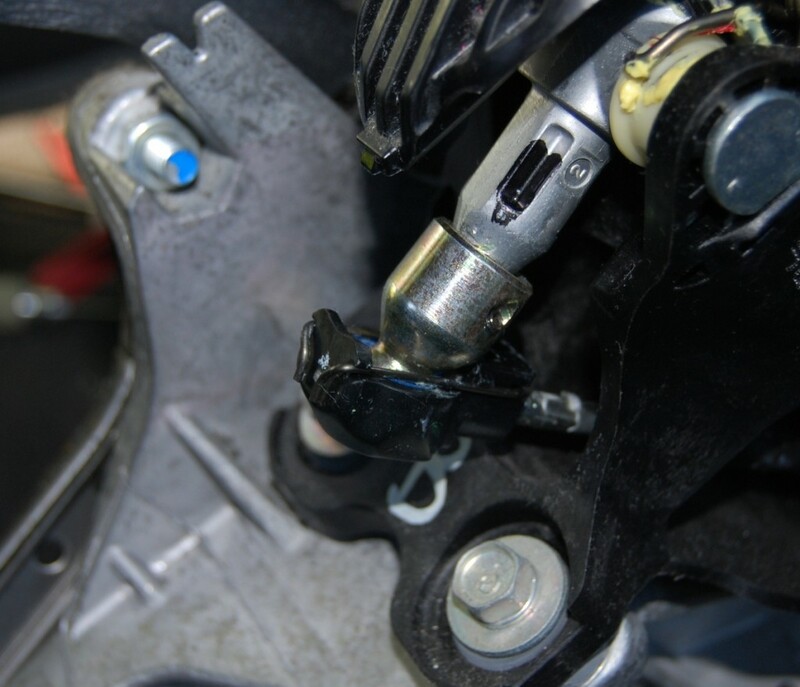 Use a small screw driver to pull the spring clip retainer off of the linkage. 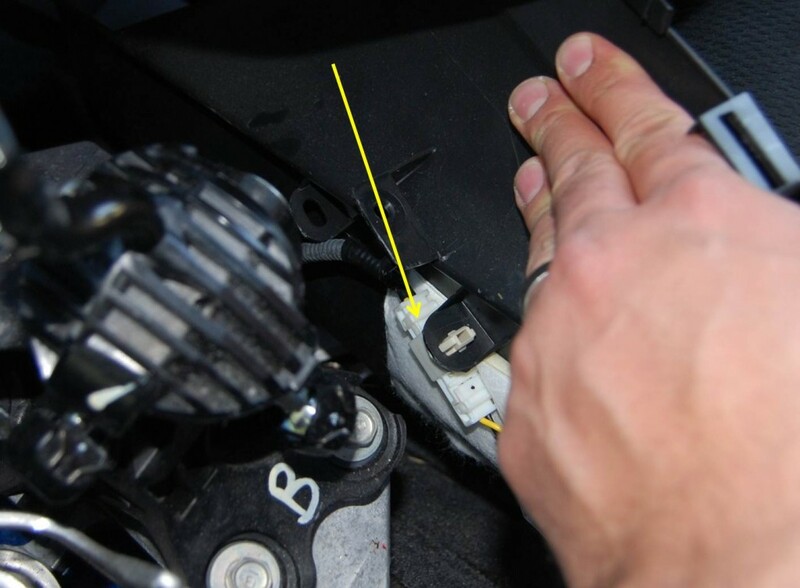 Installing the adapter onto the shifter does take a small amount of persuasion to make sure it is fully seated. 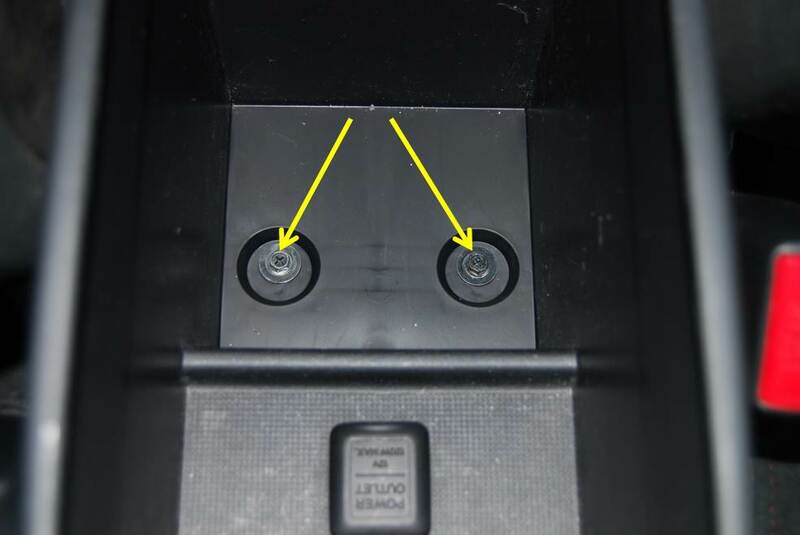 Using the allen driver, tighten the two allen screws. Start with one until it makes contact with the shifter then tighten the other. 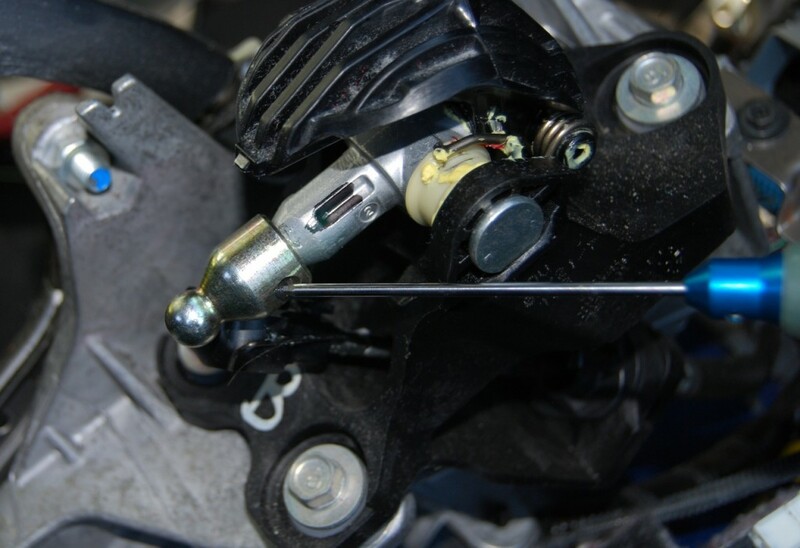 Once both allen screws have made contact with the shifter, tighten both snugly. 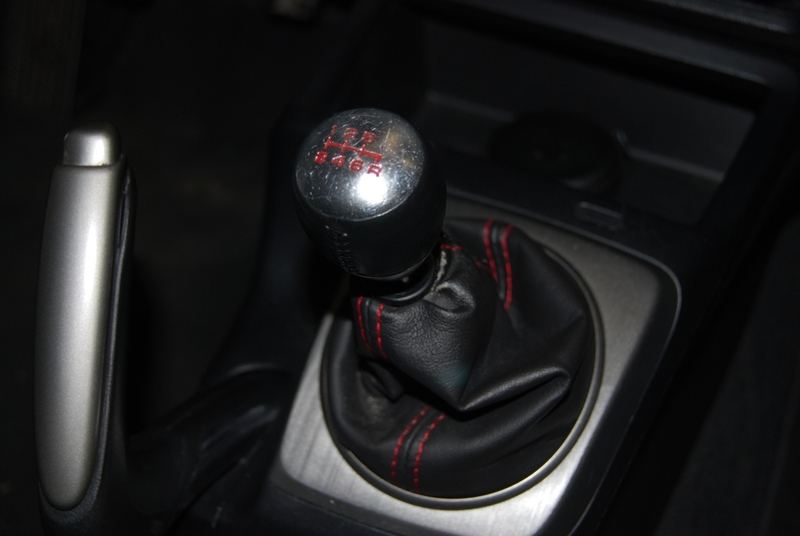 The overall improvement isn’t significant, but it does make a difference in the feel of the shifter. I always felt that the throw was just a little too long and this install makes up the difference. For the money, I definitely recommend this upgrade!